Spending just a few hours in the Columbus Circle neighborhood provides ample time to fit in a great work out, shopping, and an unforgettable spa experience to refresh and rejuvenate all of the senses! Start on the third floor of The Shops at Columbus Circle, with lunch at Landmarc. Marc Murphy’s restaurant boasts a chic industrial aesthetic and delicious French-inspired cuisine—not to mention a robust international wine list. With lunch finished, burn off some calories with a day pass at Equinox Fitness Club. 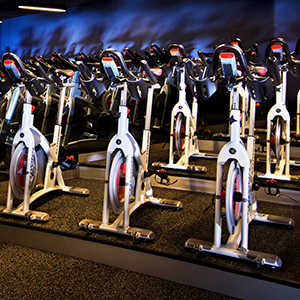 The club offers group fitness classes including spin, yoga, kickboxing and many more. The junior size Olympic pool is great for laps too. 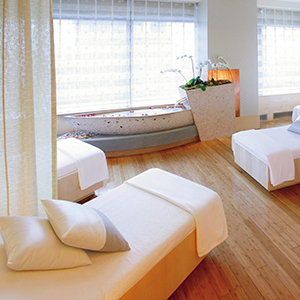 Following your lunch and spin class, take time to find yourself in an oasis of relaxation at the spa and wellness center on the 36th floor of the Mandarin Oriental, New York hotel. The spa provides luxurious treatments that are the epitome of pampering. Afterward, make your way down to Whole Foods Market for a freshly-pressed juice from Juice Press—the perfect healthy way to feel revived and replenished.